Not really running, just running around trying to spin as many plates as possible. I’m ready to get back on the treadmill if only my ribs would cooperate. Things are getting really hectic at school and I feel the holiday rush already. 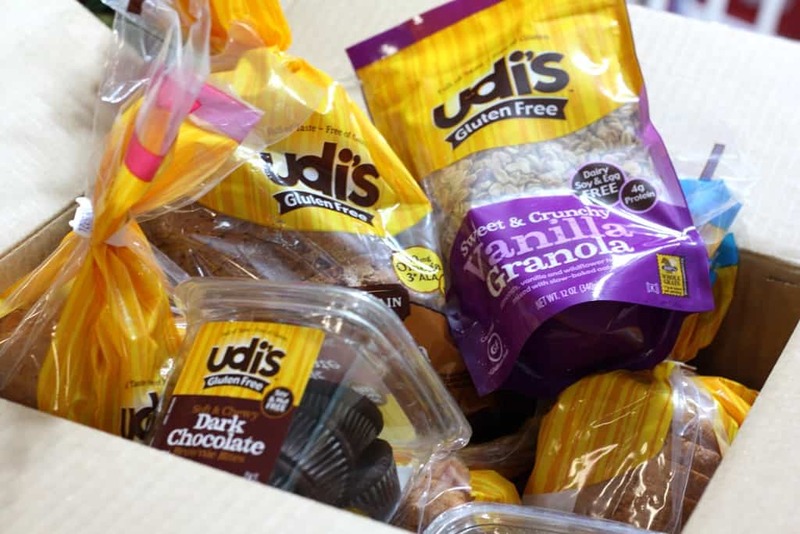 This morning, I grabbed a muffin from my goodie box from Udi’s Gluten Free. I’m trying out some products for them. I’m working my way through the holidays on tiptoes. So many baked goods and comfort meals involve flour. Going to parties and eating out really increase during the holidays and that means more danger of gluten contamination from airborne flour. I wish I could say that minute exposure didn’t affect me. But it does and in the most horrendous ways. Not just the instant swelling and headache, but in digestions issues that require me to remain close to home. 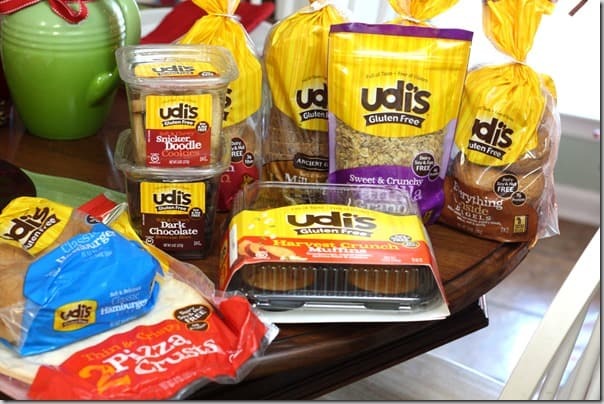 That is why I’m so glad Udi’s is helping me out. This morning, I woke up late because I actually found a comfortable position for my ribs and got some sleep. But I did not have time to make breakfast. 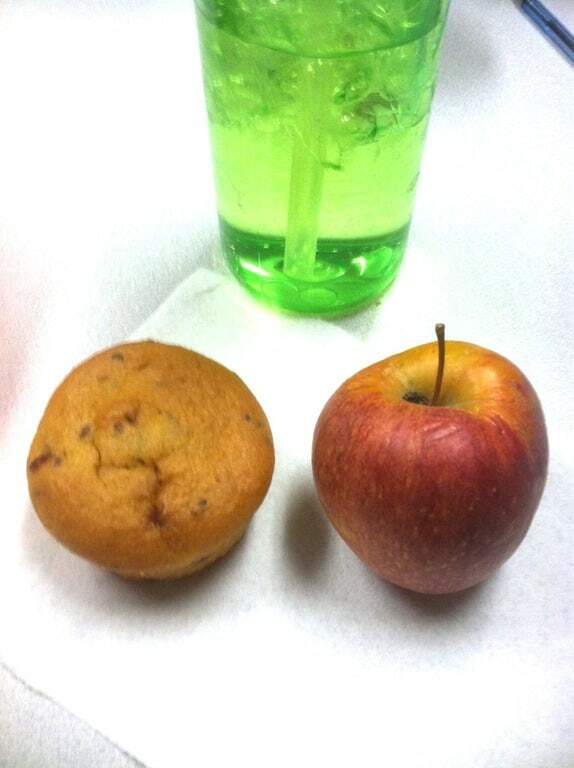 I had the apple and I had a variety of breakfast items to go with it. 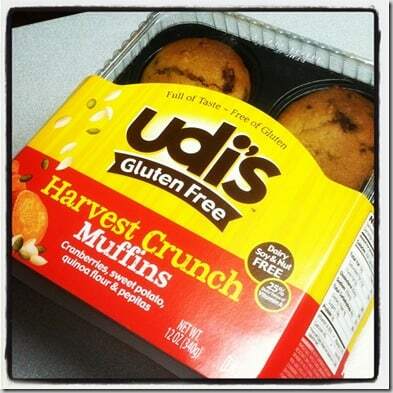 I chose the Harvest Crunch muffins. 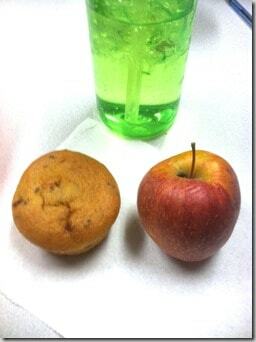 They were perfect to go with my apple! I loved the taste and the soft muffin texture that was NOT dry or crusty. I hate dry crusty muffins. The rest of the day was fast paced and I was on my toes. 23 Kindergarten kids today and they were wild! I don’t know who told them Christmas season is here. These kids are feeling it!